* Pillow: Same matching 2 nos. 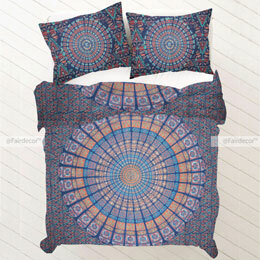 * Throw/Bed Sheet Size: 224 x 268 Cms Inch (88 x 106) Approximately. 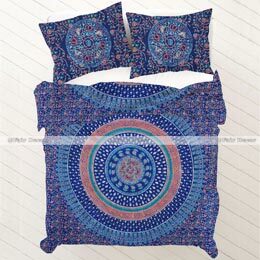 * Duvet Cover Size: 212 x 258 Cms Inch (84 x 102) Approximately. 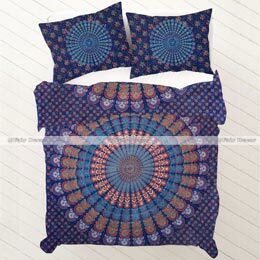 * Pillow Covers Size: 66 x 42 Cms Approximately. 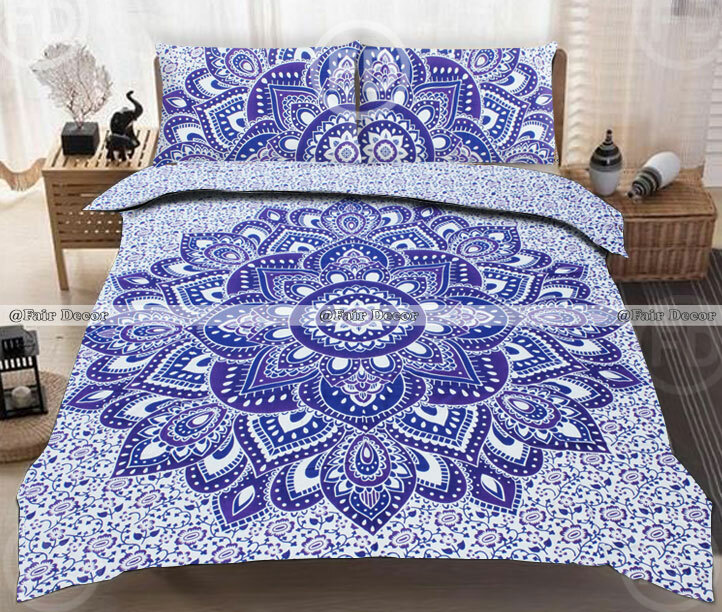 Shop our beautiful bedding duvet covers in different designs and sizes - mandala duvet cover, mandala bedding and mandala duvet cover. 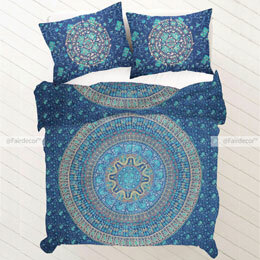 * USAGE: Bedding, Bed Sheet, Doona Cover, Duvet Cover and more. 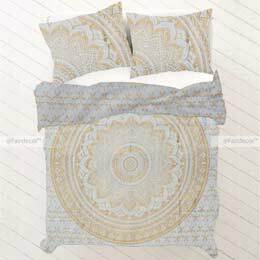 This Bed sheet is printed not quilted or woven; it is not designed as a fitted sheet. The Bed sheet is printed on the front side only.